The vast, open spaces and silence of the desert…. 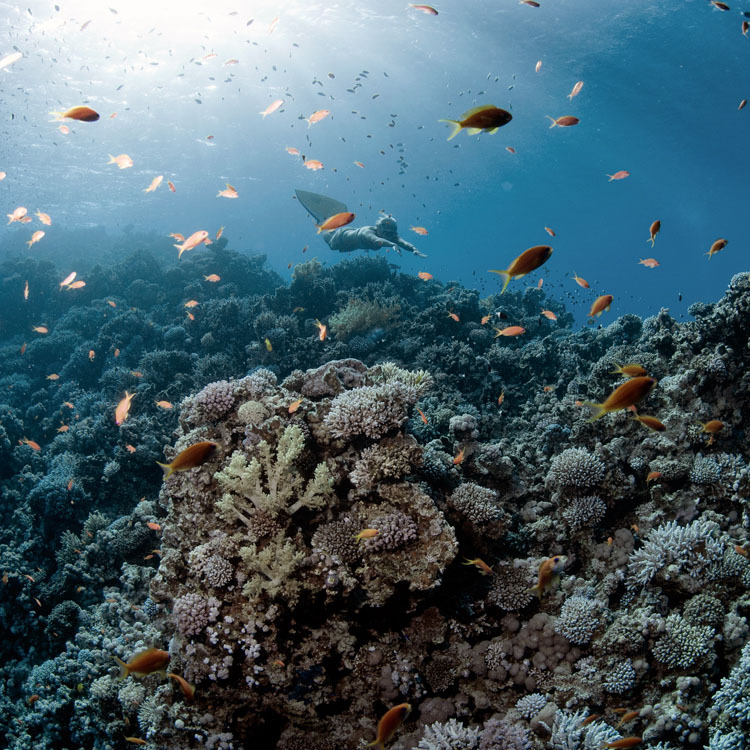 The vibrant, magical depths of the Red Sea…. 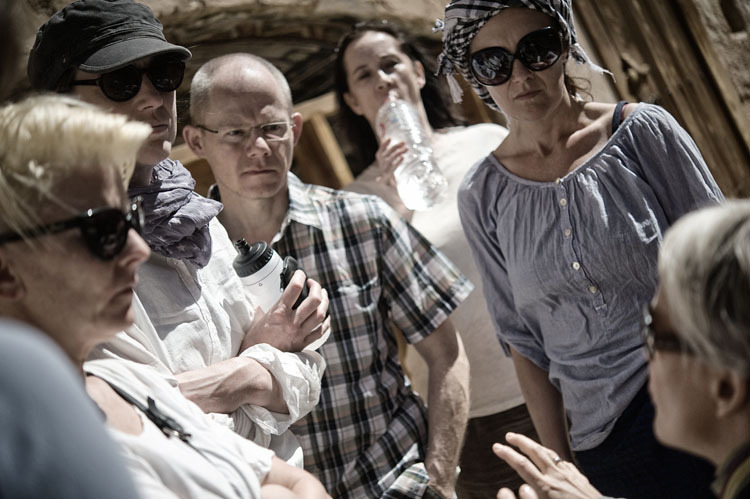 The soaring, sacred peaks and healing energy of the Sinai mountains….The transformational teachings of Kundalini Yoga with international teacher Sara Campbell…. Discover Your Depths Retreats are quite simply the most effective way to inner peace, personal transformation and a happier, healthier lifestyle. With programmes from one weekend, week-long breaks, tailor-made private retreating, and teacher training, the combination of the powerful Kundalini teachings, a complete break from the daily stresses, and an environment that promotes and supports relaxation and healing, even the shortest breaks will leave you feeling rejuvenated and ready to face the world. 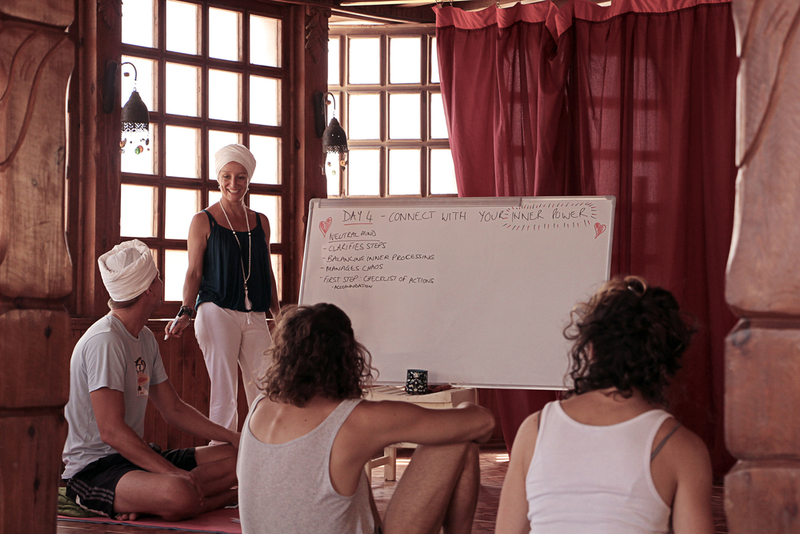 Kundalini Weekends are short, immersive yogic experiences that offer both tourists and Egyptian residents an amazing opportunity to explore the fascinating and powerful world of Kundalini Yoga. These mini-retreats run over two days (with options to extend with extra classes and activities) give you an experience of the authentic and ancient yogic techniques held sacred for many centuries, which help us unlock the mysteries of the human psyche, and the mind, body, spirit connection which is the foundation and essence of all that we do, all that we are. Each workshop will consist of discourse, discussion, workshop sessions and of course a Kundalini Yoga kriya and meditation to help you to process the work mentally, emotionally, physically and spiritually. Additional private yoga or freediving sessions, or desert trips can be arranged on request to extend your mini-retreat into a full week-long programme. Please email us with any questions. Accommodation is at our beautiful yoga-hotel, Coral Coast. Set directly on the beach in the peaceful Eel Garden end of town, we are happy to arrange packages for weekend stays or extending for longer holidays. Airport transfers can also be arranged on request. We look forward to welcoming you, no matter what age, level of fitness, experience of yoga or meditation, beliefs and background... - we are all One! Please contact us to confirm your place on these powerful, uplifting and transformative workshops. Be amazed by the power of Kundalini Yoga - be amazed by the power within you! We currently have a break in our longer retreats programme but will update this space as soon as we have our new events ready for you. Alternatively you might be interested in joining our Teacher Training programme.